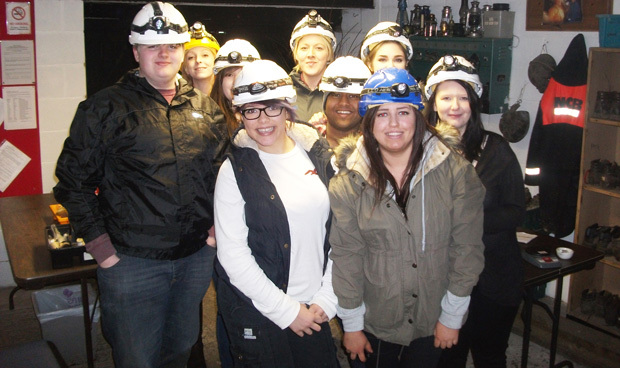 Chemistry A-level and level three applied science BTec students from South Cheshire College went underground in a former working mine to collect rock samples. A group of 24 students visited the site at Ecton Hill, in Staffordshire, which was mined for copper and lead for more than 3,500 years up to its closure in 1891. The learners were taken tens of metres underground to see the conditions miners would have worked in. They also collected rock samples and used chemical tests to identify different minerals present. Cap: South Cheshire College students wearing mining hats.